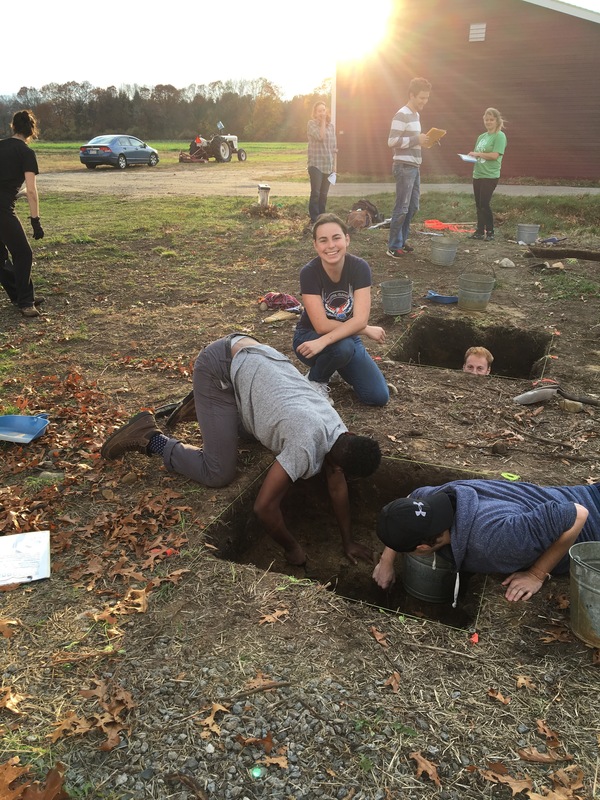 This week’s update on the progress of excavation group two comes courtesy of ANTH60a student, Savannah Bishop. Savannah is a Brandeis University undergraduate student majoring in Classical Studies. 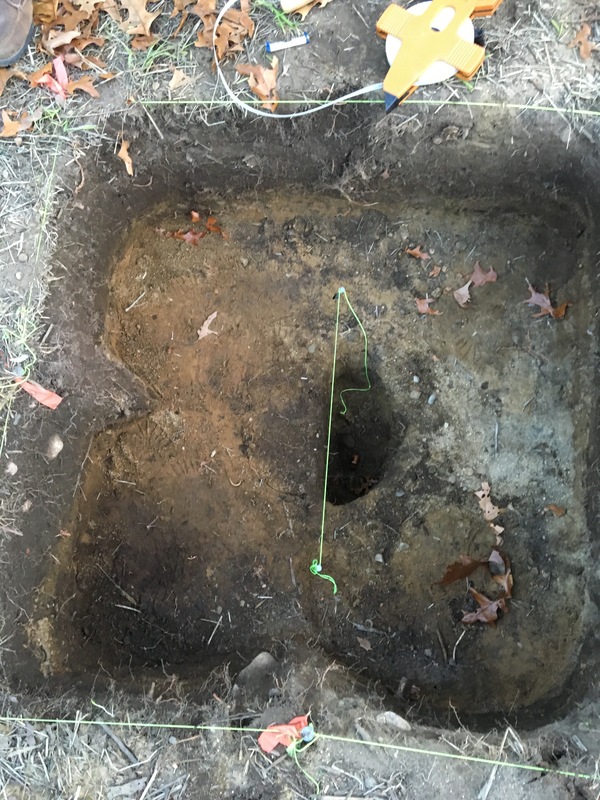 This week group 1 excavated what is known as a “feature” in our unit at the front of the McGrath property. An archaeological feature is something, in our case a distinct change in soil that represents some human non-portable activity that generally has a vertical characteristic to it in relation to stratigraphy at the site. Excavating the feature goes like this: you determine the shape of the feature – our case semi-circular – and then bisect it. Once you have done this you excavate one half of the feature that you have bisected, and then the other. In many cases, this type of excavation will yield highly relevant information regarding human activity at a site. In our case we found little and think that our feature was likely due to plant activity and as such is not particularly diagnostic. Still, it was quite exciting to excavate a feature and our unit continues to reveal more artifacts and more clues about the history of this particular site.